Since trees are a fire hazard, and I cannot stand the thought of a classroom lacking holiday cheer, my students made these "elf" writings to display for the season in honor of our North Pole elf, Tink. 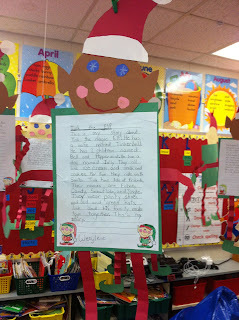 I have done this elf writing every year since I have been teaching. 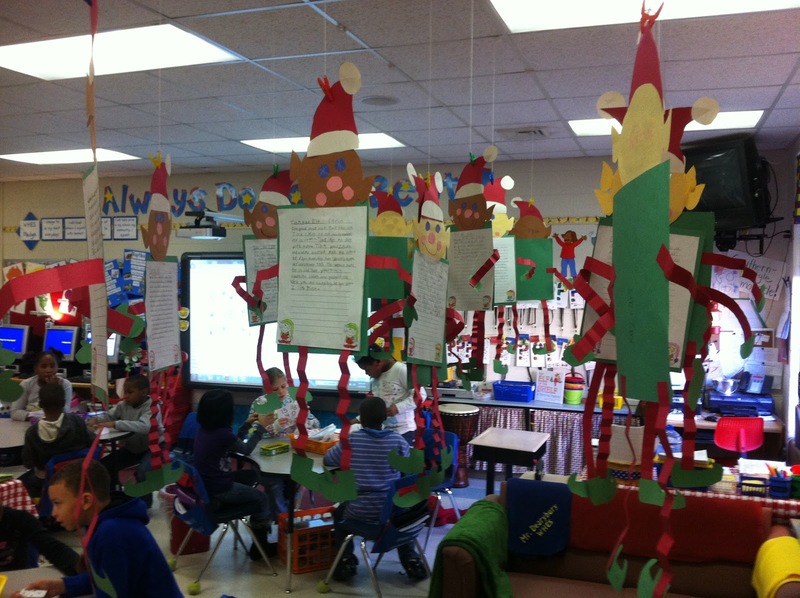 Yes, they are time consuming, and yes, they dangle a bit low, but they make the room a fun place to be. Thankfully though... they will only hang there for 2 weeks and 4 1/2 days. 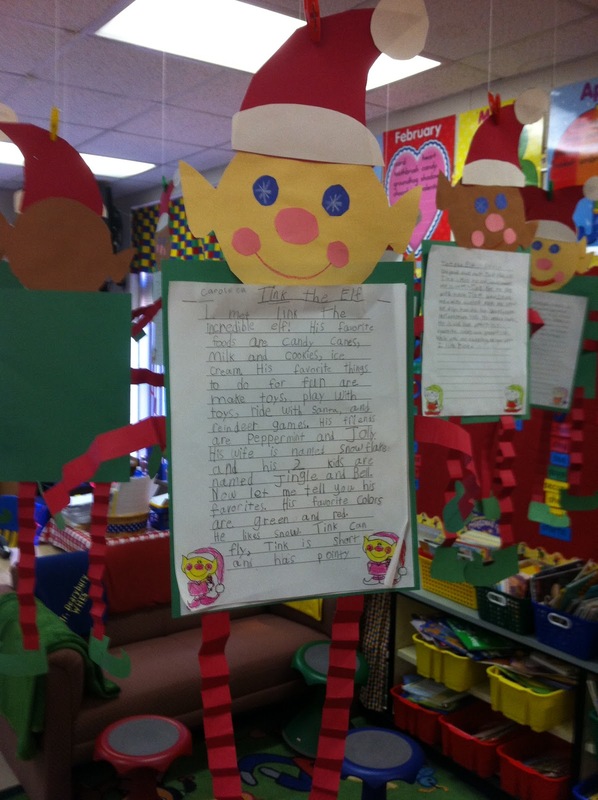 They can start to get in the way after a while, but I wouldn't skip this classroom tradition for anything!